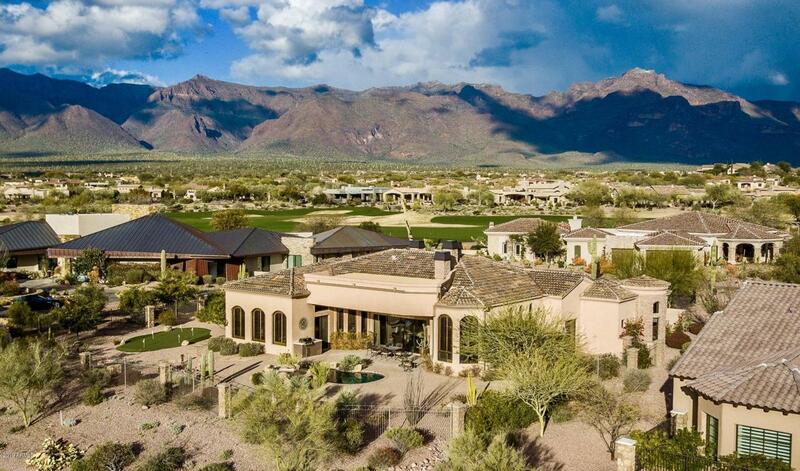 Fully furnished Custom home on the 6th fairway of the Lost Gold Course w/unobstructed views of 2 fairways & mountains. 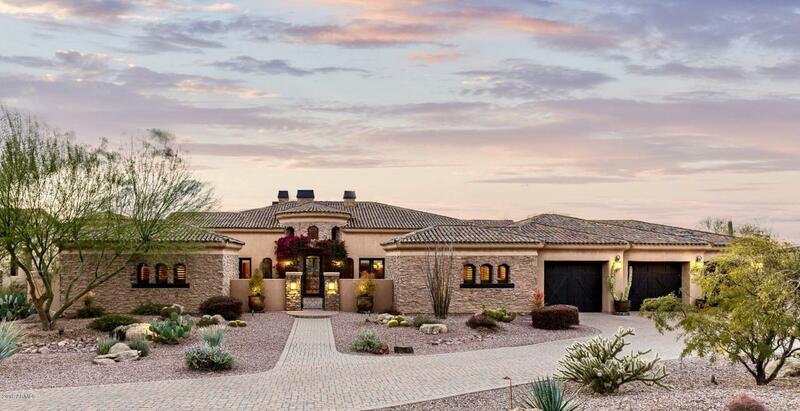 Large private courtyard w/fireplace & Superstition Mtn Views. 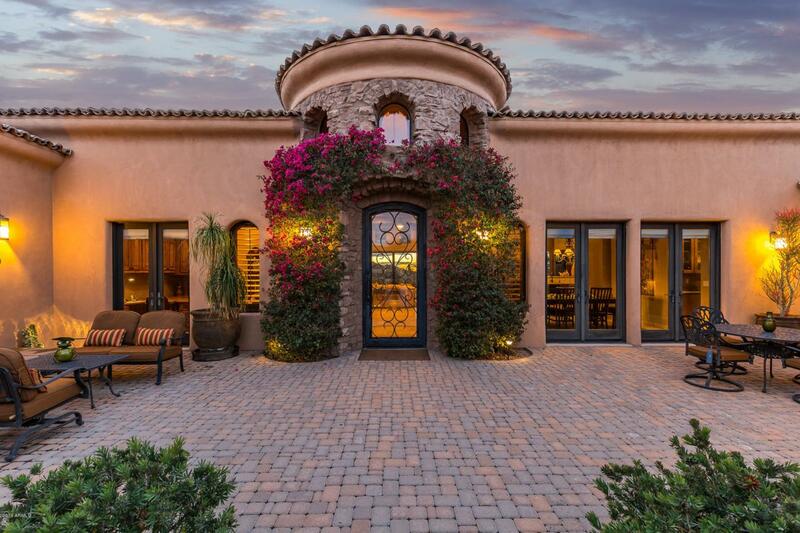 Beautiful entry w/designer columns & unique 14' ceiling treatments. Travertine floors. 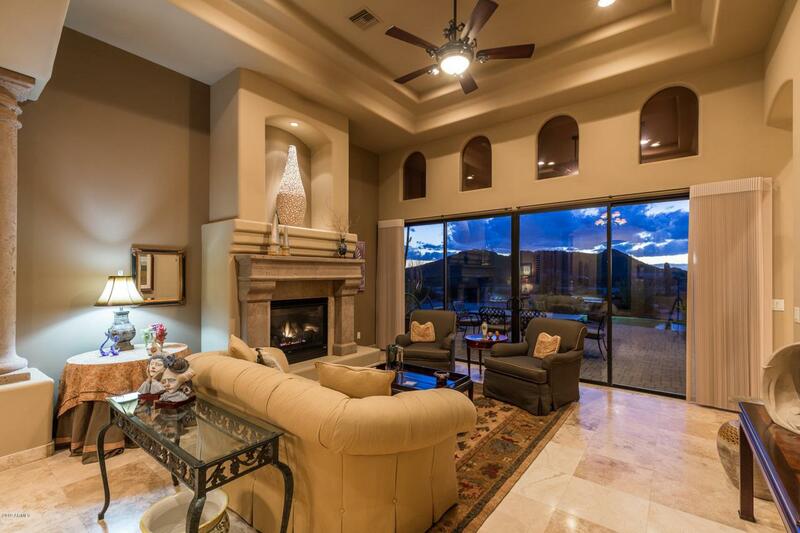 Lovely living room w/stone fireplace & wall of windows looking onto the spectacular backyard. Large formal dining area & butler's pantry. Open great room w/breakfast area. Gourmet Viking kitchen w/granite counters, breakfast bar, three ovens, 6 gas burner stove, warming drawer, trash compacter & walk-in pantry. Office w/dual desk, built in cabinets & walk in closet. Four bedrooms each w/their own bath, one located in a separate Casita w/kitchenette. Gracious Master bedroom w/fireplace & separate seating area.